Elling has been testing boots since 1997, and he currently manages all boot test operations. He authors the boot reviews for America’s Best Bootfitters website, the Masterfit/RealSkiers Buyers Guide and OnTheSnow.com. He is Masterfit University Training Centers (MFU) curriculum director and staff manager of the MFU bootfitting workshops in the U.S., Europe and Australia. Elling winters as a full-time bootfitter at Gravity Sports at Mt. Bachelor and at Masterfit Tech-Center #1 in Bend, Oregon. A former board-certified Pedorthist, author of The All-Mountain Skier: The Way to Expert Skiing and current level III PSIA Alpine instructor, he can be found windsurfing or surfing when he's not skiing--anywhere from the Columbia River Gorge to Coolangatta, Australia. Gabriel is a veteran boot tester, bootfitter/technician/salesperson at Gravity Sports at Mt. Bachelor Bend, Oregon with over 20 years ski industry experience. 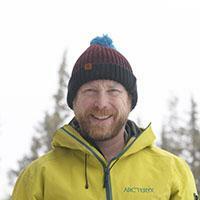 He is a snowboard and alpine bootfitting instructor at Masterfit University. He has a background in competitive hockey and splits his time between skis and a snowboard, depending on conditions. One of our favorite photo subjects at boot test, he flies high and far. Gabriel is also an avid fly fisher and steelhead bum. Gleason is founder and director of the Bootdoctors & Paragon Outdoors in Telluride Colorado. For 41 years he has been teaching the ski industry the science and art of fitting boots. Skiing has been his passion since he was a toddler. It is a rare day when the lifts are spinning that he is not on the mountain. When a skier comes into the BootDoctors, gives him a hug and exclaims “that was the best day I have had in my life thanks to these boots,” he has reason to live. In the off-season, he is found running rivers (Bob just completed his 22nd private trip on the Grand Canyon in his dory), he pedals his bikes thousands of miles and travels the country in his Sprinter camping van. 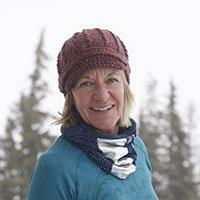 Harper has worked in the ski industry since 1991. He got his start with the National Ski Patrol then moved to the retail side, managing shops, ski tuning, and bootfitting. His primary focus for the last 18 years has been on bootfitting. He is currently the head bootfitter for Ski Boot Fitting, Inc at their Vail location, where he has worked since 2009. An avid outdoor enthusiast, Harper enjoys skiing, mountain biking, hiking and he lived off-the-grid for two years in a teepee. In the summer he works as a bike mechanic for Vail Resorts and mountain bikes as much as possible. Hoffmann is the owner/operator of Ski Boot Fitting of Vail and Beaver Creek, Colorado which operates out of Vail Sports locations at each resort. He is a veteran Masterfit University instructor, former board-certified Pedorthist, a long-time boot tester and former PSIA level III Alpine instructor. Don't mistake the faraway look in his eye for a hippy glaze-over. More likely he’s just visualizing his summer in Cape Hatteras, NC which he spends kiteboarding, windsurfing, surfing and fishing where he has a commercial captain’s license. He has worked professionally in the ski industry since 1979. The owner/operator of The Thotic Shops at Aspen Sports Inc. at Aspen Sports in Snowmass Village Colorado, Rafferty is a slope-side veteran bootfitter and Pedorthist for over 35 years. Rafferty primarily concentrates on winter sports recreational athletes, but also works with multiple sports disciplines and prescription-based orthopedic patients. A senior Masterfit University instructor and a training consultant for Vail Resorts, he is also a published writer and international lecturer. A former semi-pro hockey player from the Slapshot era, former Aspen Junior Hockey High School coach and all-round winter sports junkie, he knows how to throw down or drop in. Founder and lead fitter of the Boot Lab at Windham Mountain Resort in NY. Marc has over 20 years experience as a bootfitter, is a board-certified pedorthist, and has been a Masterfit University instructor since 2013. He is a PSIA Alpine Level III Instructor who lectures on stance analysis and bootfitting, and he conducts on-hill clinics for PSIA’s Eastern Division. When he’s not tinkering with ski boots or playing in the snow he’s probably in his boat somewhere on the mighty Hudson River. Tischendorf comes from a clinical sports podiatry background in Australia working with athletes before seeing the light and moving to Telluride, Colorado. She is the supervising and (currently) only female bootfitter at Bootdoctors. Tischendorf joined the Masterfit University teaching team in 2014 in both Australia (using her native tongue) and throughout the United States (with a team of translators). She is a contributor to the Tecnica/Blizzard WomentoWomen initiative and flies her flag amongst the Project165 team for Tecnica. When not wintering, she can be found trail running and giggling down single track on her bike. Wilde is a veteran boot tester and bootfitter at Gravity Sports at Mt. Bachelor in Bend, Oregon during the winter. A board-certified Pedorthist and owner of "Sole Motion" mobile orthotic lab, Wilde is a Masterfit University instructor with more than 25 years experience in the ski industry. The "Wildebeest" is the food and beverage manager for the boot test where he cooks up a mean BBQ feast. Please visit his website at www.tuneyourshoes.com. Born and raised in Central Oregon, Coggin has been skiing for over 20 years and ski raced for 12 years. She currently works at Gravity Sports at Mt. Bachelor in Bend, Oregon as a ski technician and aspiring bootfitter. After obtaining an Outdoor Leadership and Education degree she has worked for several outdoor youth programs and has guided for outdoor adventure organizations. I have been very fortunate to be boot testing on and off since 1994. While not a professional boot fitter, I do spend a fair amount of time on the hill at Jackson Hole and the editors must like my charming and witty writing style :0) I like to think I am the everyman voice on the boot fitting team. I love, love, love to ski and there are no bad days on the hill. I try to be honest about what does and does not feel right in a boot. Ski boots are THE MOST IMPORTANT piece and if your feet hurt, everything else is irrelevant. You can ski a bad pair of skis but if your feet hurt, nothing else matters. When not boot testing, I caretake several homes in the Jackson Hole area as well as operate a small travel agency business that specializes in Mountain ski destinations. Hope to see you on the hill..
Elling lives and works in Missoula, Montana. He's been part of the team at family-owned Gull Ski and Snowboard since 2002, and has a decade of ski instruction experience prior to that. The curse that his feet are never comfortable in his favorite stock ski boots are a blessing to his clients in that they don't have to be guinea pigs for boot manipulations. When he does break the vortex that is Montana Snowbowl, he gets over to Mt. Bachelor, Big Sky and Big Mountain for other ski ops, or he's out mountain biking. 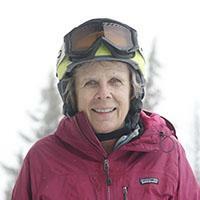 Evans is a graduate of Wenatchee Valley College Ski Instruction/ Ski Area Management (1980). He is currently a full-time ski instructor at Mt. Bachelor and head junior Alpine race Coach for Mt. Bachelor Sports Education Foundation. Evans coached Tommy Ford and Laurenne Ross as junior racers. 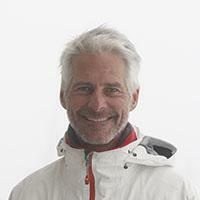 He is certified PSIA level 3 alpine, level 1 Nordic telemark, chidlrens specialist 1 and as a USSS Level 400 coach. Evans has been a boot tester since its beginning at Mt. Bachelor in the late-80's. He still loves skiing with its constant changing conditions, snow types, and mountain diversity—for him, skiing truly brings meaning to life! Johnson grew up ski racing in Washington and went on to race in college. 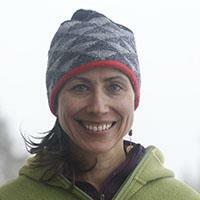 Currently she is the manager and soft goods buyer for The Race Place in Bend, Oregon. 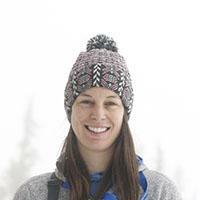 She started as a ski race coach back in 2000 and has worked a variety of jobs in the ski industry; most recently the lift operations supervisor at Mt. Bachelor. In the summer months she can be found gardening, trail running and camping at any of the many alpine lakes of Central Oregon. Currently a pledging member in good standing of the Midwestern chapter of SA, Skiers Anonymous, and hailing from the hard pack of Hyland Hills Ski Area in the heart of Minnesota nice and ice comes Mark Korman an eighties top 1OO FIS slalom ski racer and now "forgot my heart pacer pow chaser" A rinse lather repeat 3 time state High school State champion who later captained the Lewis & Clark race team van across the Northwest with slogans like "Bomb the hill, not Iraq" and "Memorize courses not vocabulary." Now, when he does pilgrimage his kids out west to Mt. Bachelor you might spot them with the A & I cuz cousins, "cuz you can't get hurt in the air" Korman twin tips... Mark is the exemplar of the adage that old skiers never die, they just go downhill. Korman is the manager and retail hard-goods buyer for Gravity Sports at Mt. Bachelor in Bend, Oregon and is a veteran boot and ski tester. Korman was a ski racer and former Mt. Hood race coach, and a manufacturer’s sales associate with 30 years ski industry experience. When not skiing, he captains the "space shuttle" for one of the crazed Korman family outdoor expeditions somewhere in the "Northern tier." Veteran Boot Tester and owner of Local Real Estate in Coeur d'Alene, ID. Well, really his wife Karey is the owner and brains behind the operation and Neal has just honed his lifelong ski industry sales pitches and taken that to the next level in the Real Estate business. Scholey has been skiing for most of her life, although only regularly after moving to Bend, Oregon in the BIG winter of 1992. She made Mt. Bachelor her second home until her job took her to Silver Mountain Resort in 2001 to develop the resort's newer amenities such as the base village, indoor waterpark and Galena Ridge Golf Community. Since then, she and husband Neal grab all the powder days they can at Silver while operating their own real estate brokerage, Local Real Estate. You can find them in their Local Real Estate office at the Gondola Village at Silver Mountain, unless it's a powder day--then look for them on the lifts at Silver. Olivia is brand new to Masterfit this year and tested the women’s Backcountry lineup. 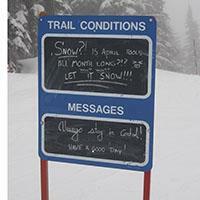 She can be found in sidecountry stashes at Schweitzer. She’s happiest when she’s cold and tired and will probably still go skiing in the rain. White is known to chase deep North Idaho powder turns and fast hot laps at the Silver Mountain when she’s not slanging gear for Escape Outdoors. Goldsmith grew up on the slopes in Southern California where his father was the Resort Manager for Snow Summit. He raced for most of his youth making it to the Junior Olympics twice. Goldsmith went off to college and became a PGA Golf Professional which is his other passion. After years of grinding he decided to return to his hometown of Big Bear Lake California in 2007 to help with the family business Goldsmith's Sports Inc Ski Shop established circa 1987. He skis as often as he can, which is less than it used to be as he now has two beautiful daughters and a wonderful wife. When he's not with his family he is working, skiing, or golfing. Goldsmith says he enjoys the aristocratic lifestyle. Morris is a Masterfit University graduate and bootfitter since 2012 at Goldsmiths Sports Inc. in Big Bear Lake, California. A PSIA certified instructor since 2002, he was a supervisor at the Bear Mountain Ski School for 12 years. He currently teaches the able-bodied at Snow Summit. Morris also teaches disabled skiers with the U.S. Adaptive Recreation Center at Bear Mountain. In the summer, you'll find him on Big Bear Lake teaching adaptive water sports with the USARC. Tutskey is a full time carpenter and ski bum who loves nothing more than lapping top to bottoms, open to close at his local hill Montana Snowbowl, in Missoula, where he also works as a part time bootfitter at SportSoles. He has a 12-year old son who loves to ski and jam jumps with the freestyle team. His motto on the mountain other than always have fun is, as a friend once said to him, "The snow is not as good as I'm making it look."